The Green Ridge Business Association is Live! 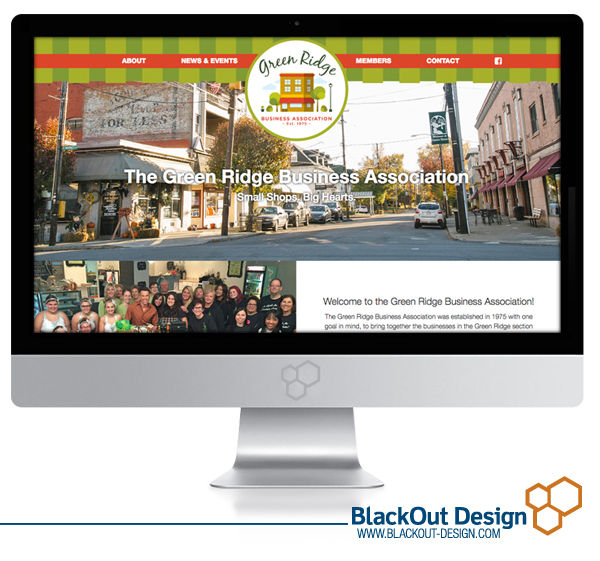 Just in time for Small Business Saturday, we are excited to announce the website for the Green Ridge Business Association is live! Our goal for this website was to serve as a platform to highlight the organization’s members and upcoming events in the Green Ridge section of Scranton. The outcome incorporates images of the Green Ridge business corners along with pops of color to highlight key information like shop locations. Space on the homepage is dedicated to a member spotlight, upcoming events hosted by the business association, as well as an Instagram feed tied into #shopgreenridge to keep content up-to-date. In addition, we’ve developed the site on Word Press so the organization can update the content on their site with ease. Interested in learning more about the Green Ridge Business Association and their upcoming events? Visit the website here and don’t forget to shop small!